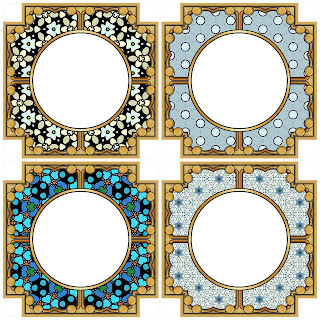 These frames are part of a collection of scrapbook frames Each frame is outlined with gold and has a square notch cut out of each corner. The hole for your photo is round in shape. 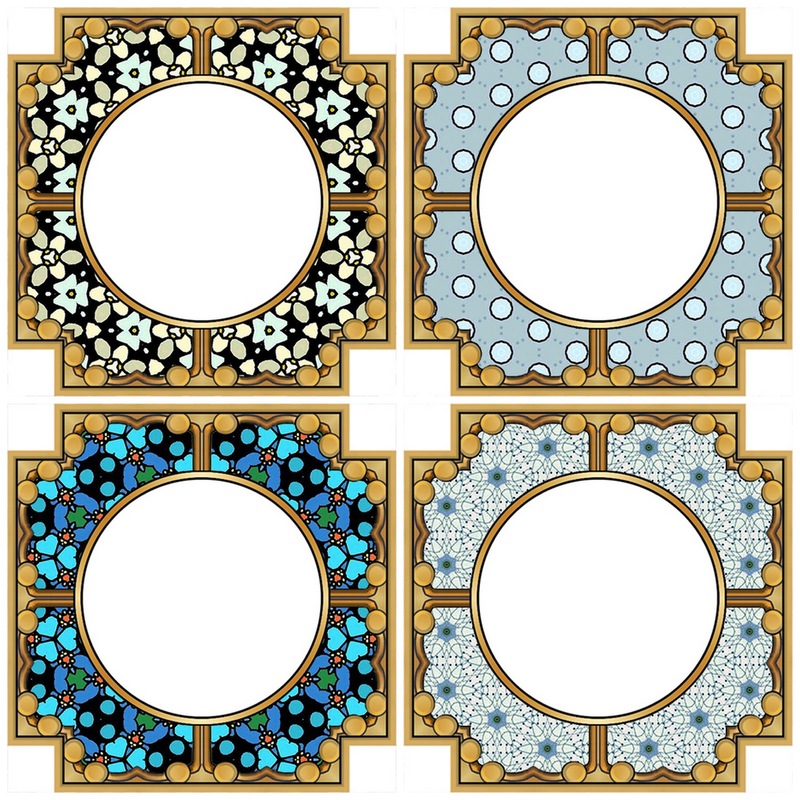 KEYWORDS: square, round, scrapbooks, cards, print, free to download, download.